Springtime is just a page-turn away on our calendar and a lamb dinner is on our minds. 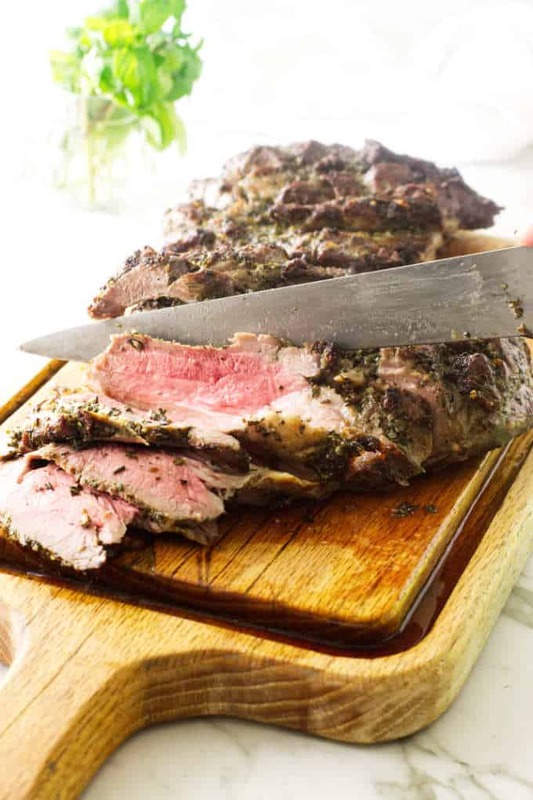 This Butterflied Herb-Roasted Leg of Lamb will grace our dinner table for Easter dinner. 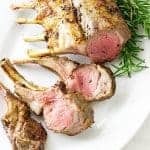 The rich, succulent flavor of lamb was enhanced with a herb rub of rosemary, mint and garlic then roasted in a hot oven. Juicy and succulent, herb roasted leg of lamb. Easter Sunday is arriving late this year. A butterflied leg of lamb will be the dinner entrée as our family gathers together to honor the Resurrection of our Savior, Jesus Christ, the Lamb of God. 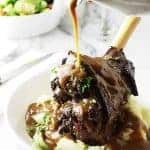 What is a Butterflied Leg of Lamb? This is a leg of lamb that has had the bone removed. Usually, the butcher encloses the boned lamb in a stretchy netting material to hold it together. After removing the netting you can unroll the meat. Some portions of the lamb will be much thicker than others and it will look lumpy. We are going to manipulate the meat to make it as equal in thickness as possible. This manipulating technique is called book-butterflying. Watch our video to see how we book-butterflied this leg of lamb. How do you butterfly a boneless leg of lamb? 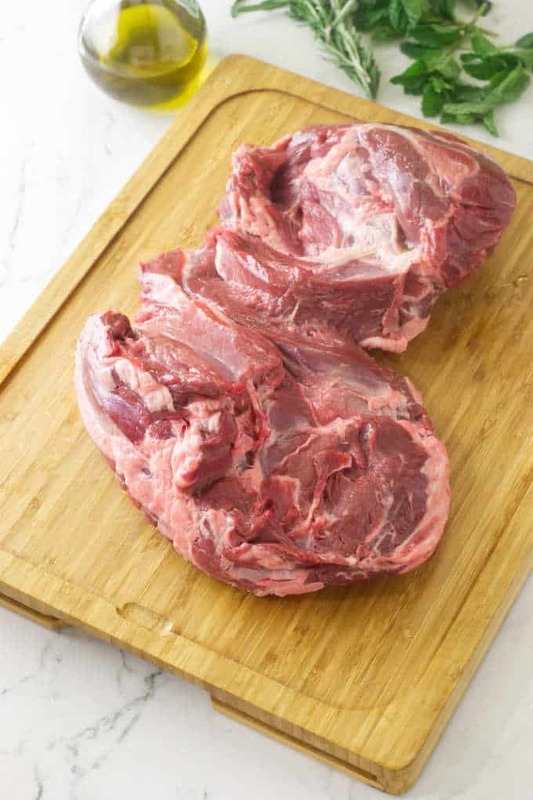 First, trim the excess fat and any gristle from both sides of the lamb and lay it flat on a cutting board. Make sure you have a really sharp slicing knife. Then beginning at a thick part of the meat, make a diagonal slice and press the slice open like a page in a book. Next, make a diagonal slice in the opposite direction and press the slice open. Continue making diagonal slices, “pages” in the thickest parts of the meat to make the lamb as much the same thickness as possible and to lay flat. It is much easier than it sounds, take a look at our video to really understand how this works. In the video, you will see how much larger and flatter the leg of lamb gets. Once the leg of lamb is butterflied, we sliced several cross-hatch slices into the lamb. By creating more shallow slices in the meat, the lamb gets even more surface area to hold spices and marinades. You don’t need to make the additional cross-hatch slices but it really does make a difference. 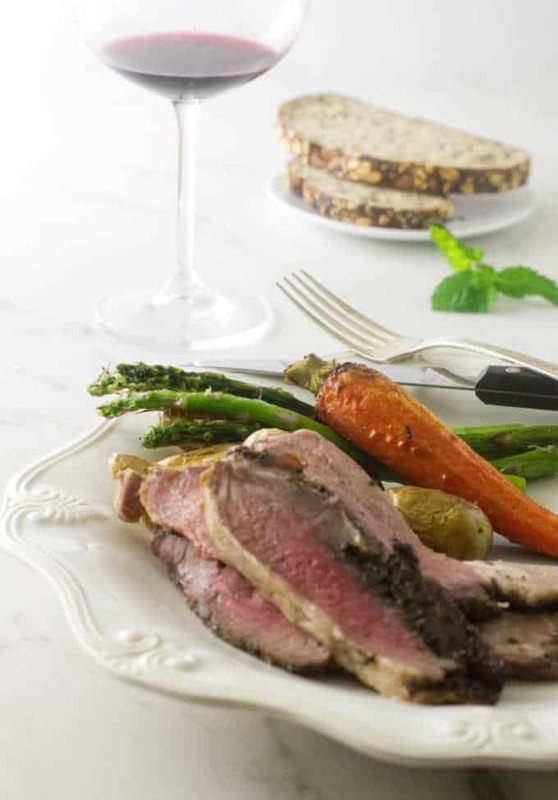 This butterflied herb-roasted leg of lamb has so much flavor from the garlic, anchovies, and herbs that seeps into the extra grooves of the meat. Just make sure you don’t slice all the way through when you create the extra slices. A favorite accompaniment for lamb is mint jelly. We are skipping the jelly this time around. A mixture of chopped fresh mint, rosemary and garlic make a wonderful rub for the lamb. After the lamb was ‘booked’ we had a lot of crevices to rub our herb mixture into for maximum flavor. We placed the rubbed lamb on a wire rack set over a baking sheet and let it hang out at room temperature for an hour. The lamb roasted in a hot 425° oven for 25-30 minutes to a medium-rare then rested for ten minutes before slicing and serving. We served this Butterflied Herb-Roasted Leg of Lamb with roasted carrots, fingerling potatoes and fresh roasted asparagus with curry sauce. How long do you cook a butterflied leg of lamb? Since the bone is removed and the meat lays flat, a butterflied leg of lamb cooks fairly quick. It will only take 25 to 35 minutes to roast this butterflied leg of lamb at 425°F. The time will vary slightly depending on the thickness of the lamb and how “done” you like it. For best results, we recommend an instant-read thermometer and the following guide so you can cook your leg of lamb to perfection. 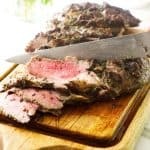 What should I serve with leg of lamb? 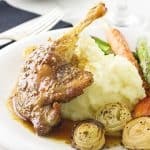 Make this a meal by serving this herb roasted leg of lamb with some creamy ricotta mashed potatoes and some roasted asparagus with curry sauce. For dessert, make a fast and easy strawberry rhubarb crisp. 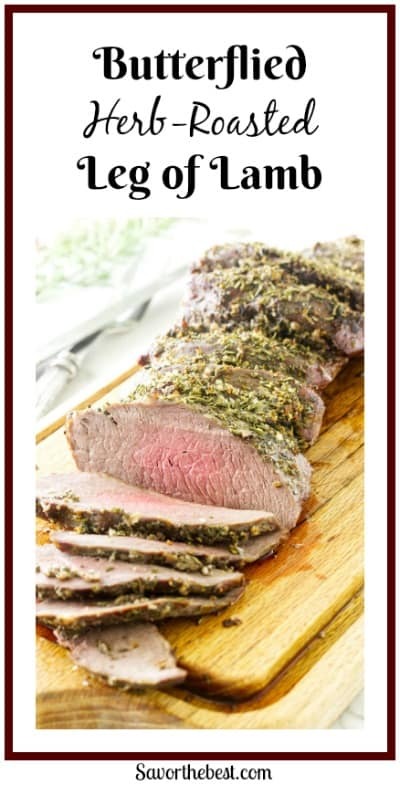 Have you made this butterflied herb roasted leg of lamb? We would love to hear from you. Drop us a comment below or tag us on Instagram. Watch the video above to see how to butterfly a leg of lamb. Butterflied herb roasted leg of lamb. 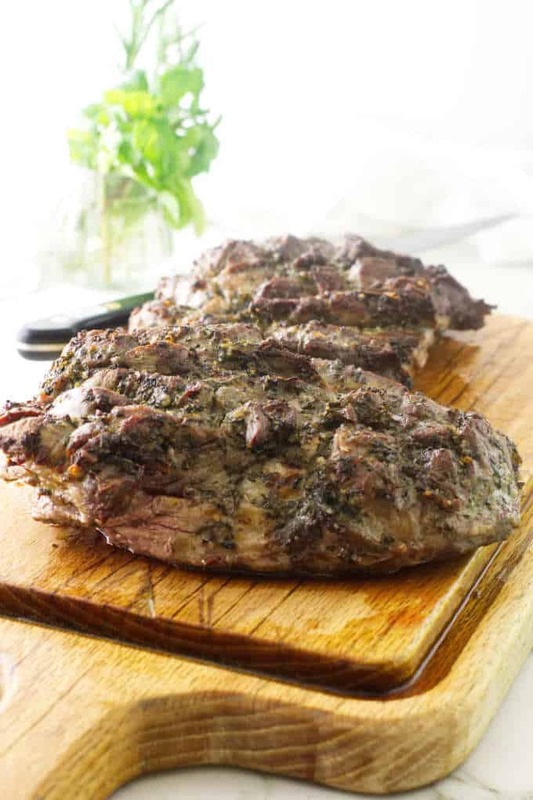 The rich, succulent flavor of lamb is enhanced with a herb rub of rosemary, mint and garlic then roasted in a hot oven. 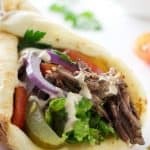 Remove the lamb from the refrigerator and unroll it on the cutting board. With a sharp knife trim off the excess fat and any gristle. To make the lamb the same thickness, butterfly-book the thick parts by making shallow diagonal slices and pressing the slices open like pages in a book. Then lightly score the the meat in a 1-inch crosshatch. Place the lamb on an oil-sprayed wire rack set over a rimmed baking sheet. To a small dish add the mashed anchovies, and the chopped garlic, mint and rosemary. Stir in the salt and olive oil. Rub the herb mixture over the prepared lamb, working the mixture into all the cuts and crevices. Let the lamb rest for an hour on the counter top to come to room temperature and absorb the herb flavor. Let the lamb rest for 10 minutes before serving. Love lamb! And when I have leg of lamb, I usually butterfly it — it takes a few minutes, but it’s not hard to do. 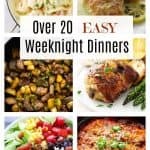 Upside is it takes so little time to cook! And if you add a quick marinade to the mix (I always do — and yours looks terrific), you get so much more flavor. I often cook butterflied lamb outside on the grill — good stuff. Anyway, superb recipe and post — thanks. Thanks, John…This is so good either cooked in the oven or outside on the grill. Our Washington weather doesn’t always cooperate with the grilling option though. 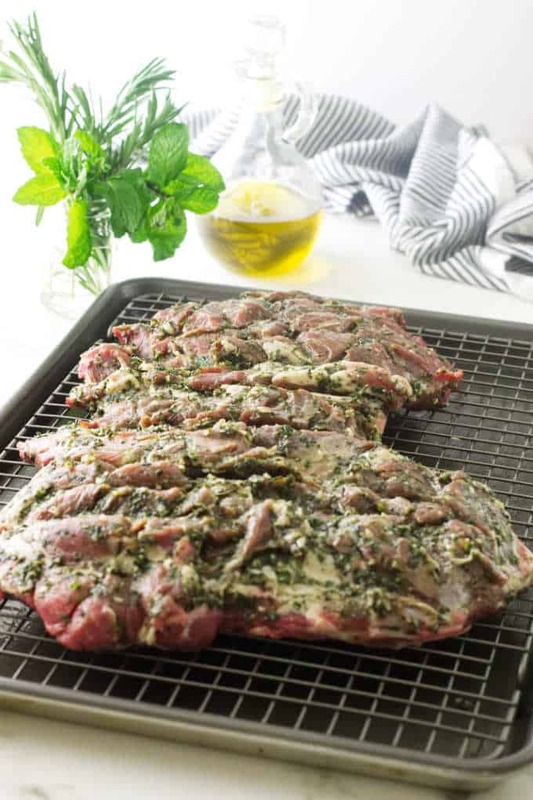 This BUTTERFLIED HERB-ROASTED LAMB looks very inviting and tasty. Love the fact that you remove the fats. 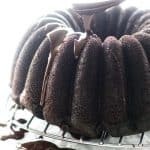 This is perfect for picnics or for family gathering. Thank you for haring this, will surely give this a try on our family outing.